Mystery prizes, must drop jackpots, raffles and giveaways! 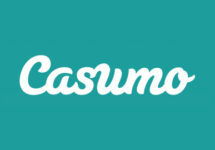 The team at Casumo has put up a spectacular multi-tiered campaign for this festive season. Dubbed the Winter Games 2018, players can look forward to a flurry of races, rewards, mystery prizes, bonus cards and more throughout December. Oh, it’s going to be a wonderful time! Yet another awesome Christmas campaign has kicked off, this time it was Casumo’s turn. It is promising great fun and rewards for the festive season and beyond. They have prepared a campaign with an abundance of mystery prizes, races, prize draws and more. Plenty of action for everyone to scoop up some superb prizes. Bonus terms and conditions apply to some offers, read them carefully. A total of €179,000 worth of cash is up for grabs in 3 weekly raffles. Prizes range from €10 – €5,000 in cash. The promotion is a network wide campaign from Netent. Exact details can be found here. Play Casumo Live Blackjack 1 – 3, Live Roulette or Topwheel Treasures for a chance to win Apple gizmos, cash and a trip to the Maldives. To take part, play for €50 on any exclusive Casumo Live Casino game to receive a ticket for the weekly draw (max. 3 tickets/day) plus a ticket for the grand prize draw (max. 1 ticket/day). Grab a seat at the Casumo Live Blackjack tables every Sunday in December for a chance to win extra cash. 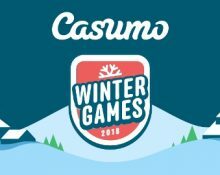 Casumo will be adding 20 bonus cards to the dealer’s shoe with cash prizes ranging from €10 – €500, credited on Mondays with no wagering requirements. Minimum bet to qualify is €5.00. Play Red Tiger slot games for a chance to win juicy jackpots that drop randomly. Starting from 30 November 2018, you’re in for a treat with the exclusive Must Drop Jackpots. Play for real money from a selection of popular slot games for a chance to win a jackpot multiple times per day, up to €1,000, a jackpot every day or a Mega Jackpot bringing you mountains of cash. Simply select Must Drop Jackpots, find a slot you like, spin and win. Compete against other players for the top spot in our fast-paced tournaments. From Monday to Saturday, every single day at 20:00 and 22:00 CET, Casumo will be holding boosted Reel Races with a first prize of €2,000. And every Sunday, also at 20:00 CET, the first prize will be a whopping €5,000. The Casumo Reel Races are fast-paced casino tournaments in which you compete against other casino players to get to the top position, for a chance to win juicy prizes on top of your casino winnings.